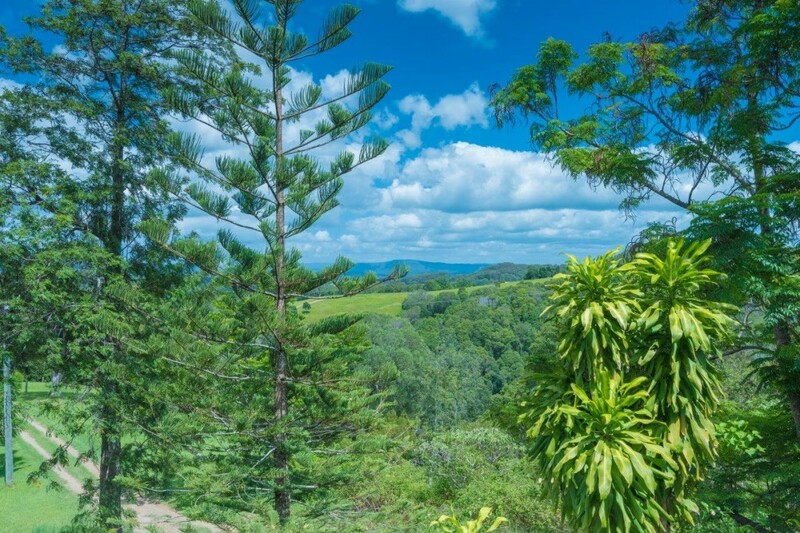 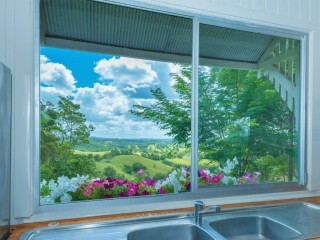 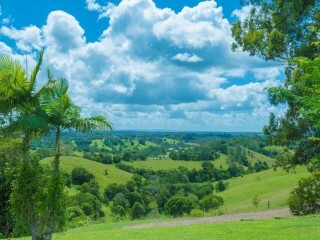 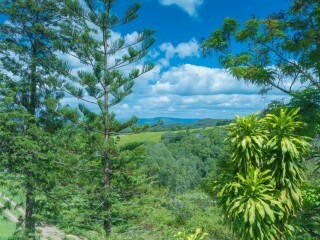 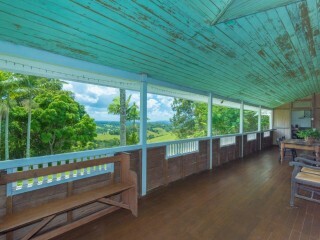 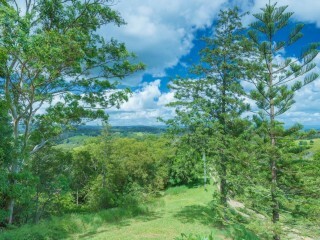 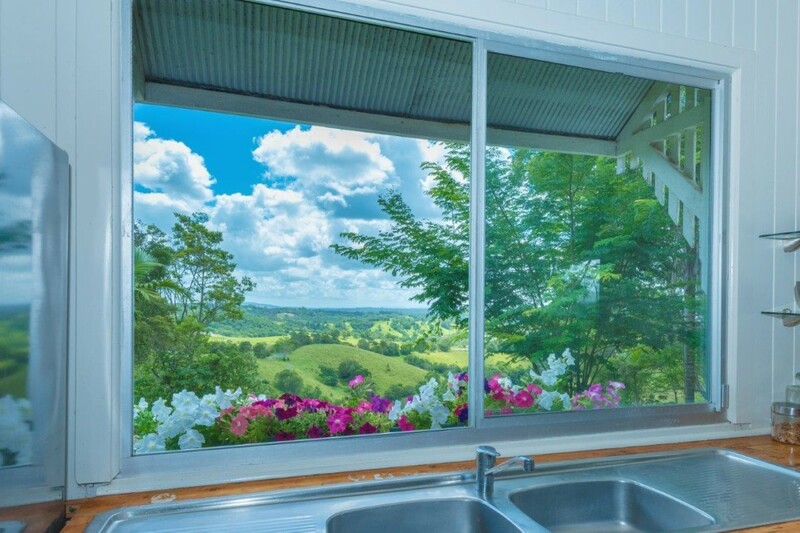 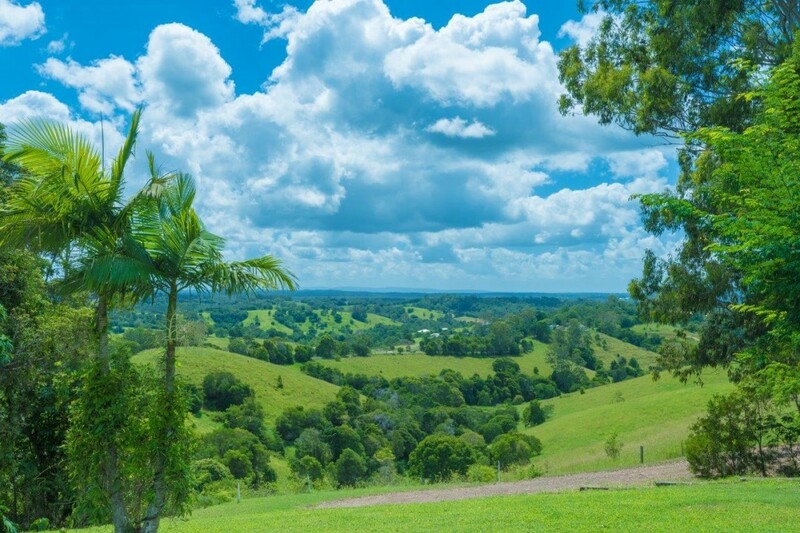 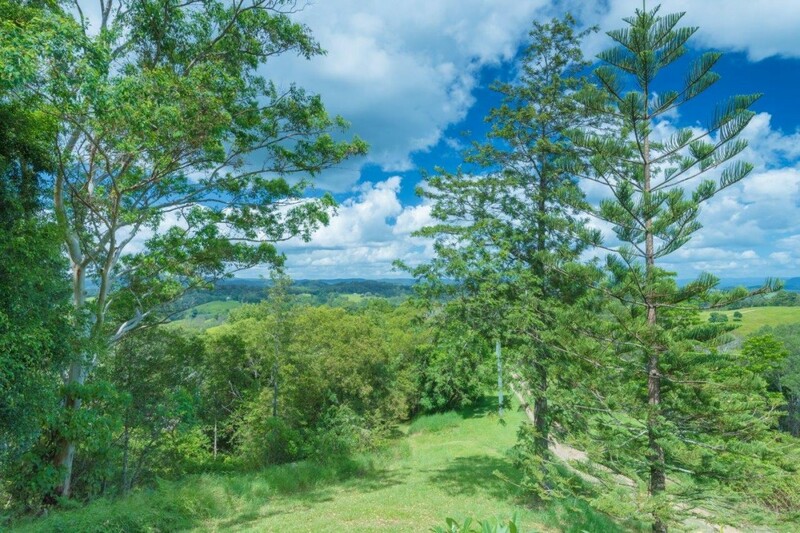 Take a whole new perspective over the rolling green hinterland from this elevated position close to Cooroy. 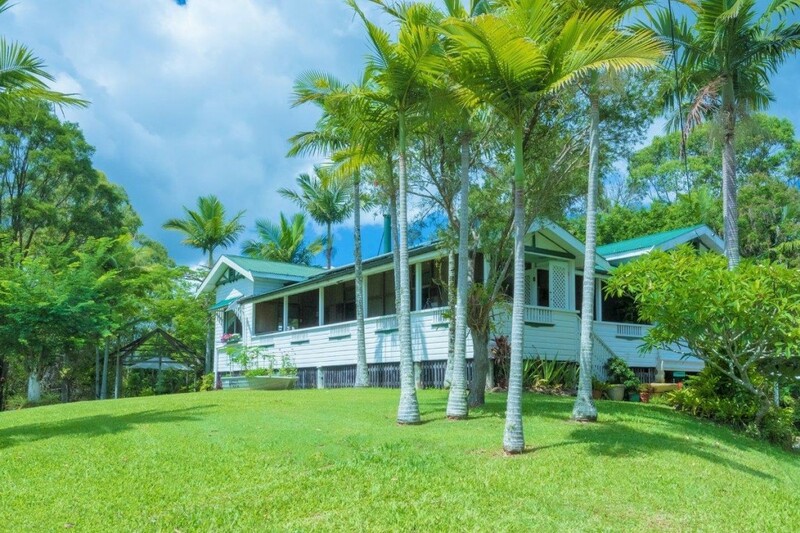 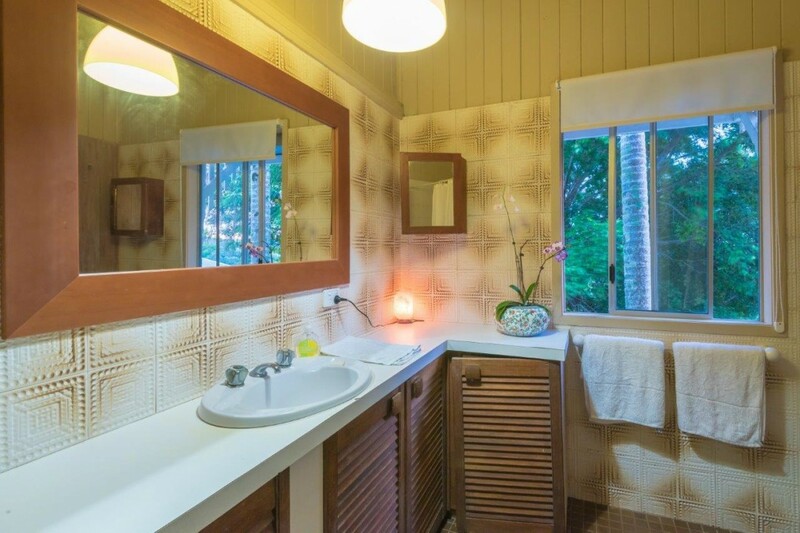 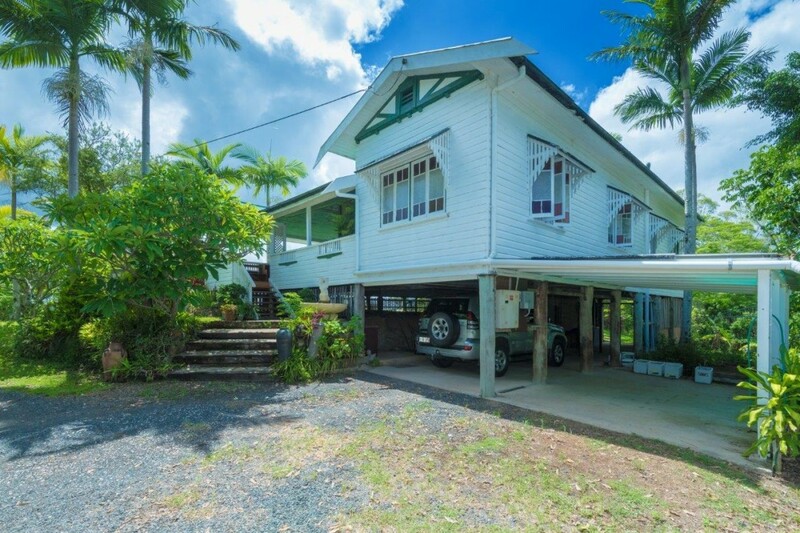 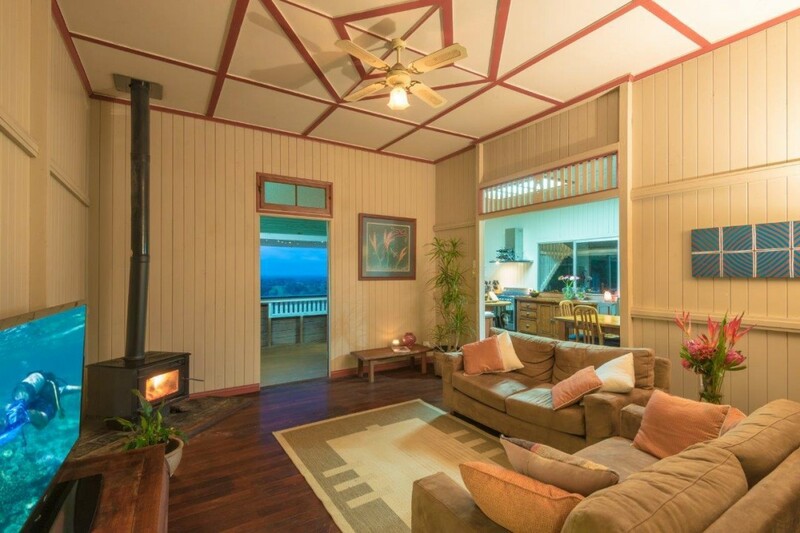 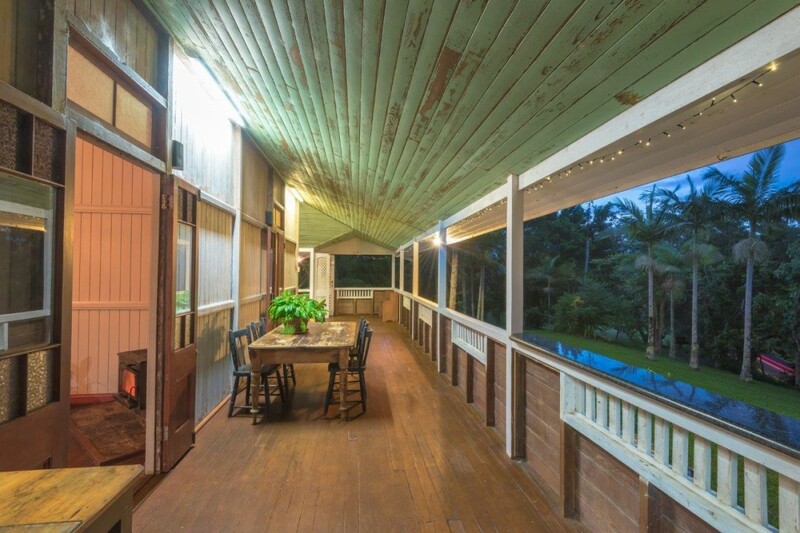 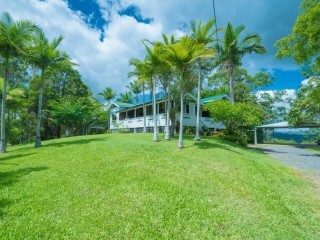 This graceful Queenslander home offers expansive views over rural pastures and extensive long range views to the North West mountain ranges and beyond to Lake Cooroibah the Teewah sand blow and the ocean. 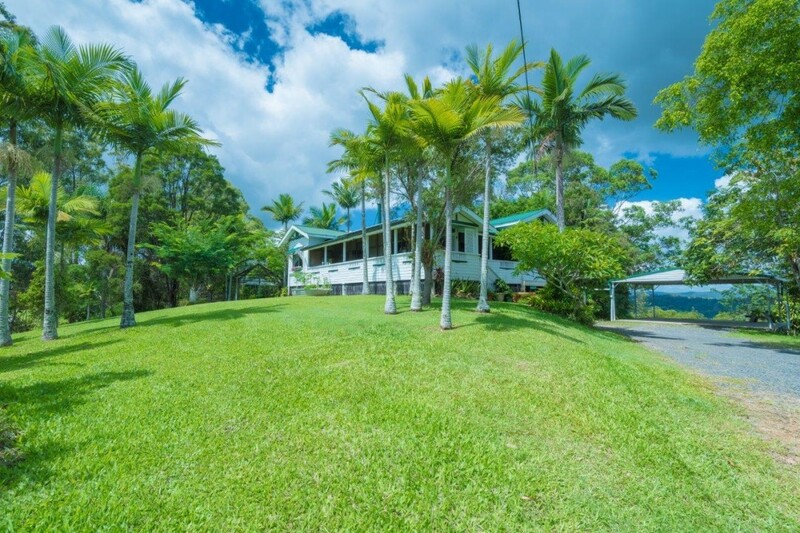 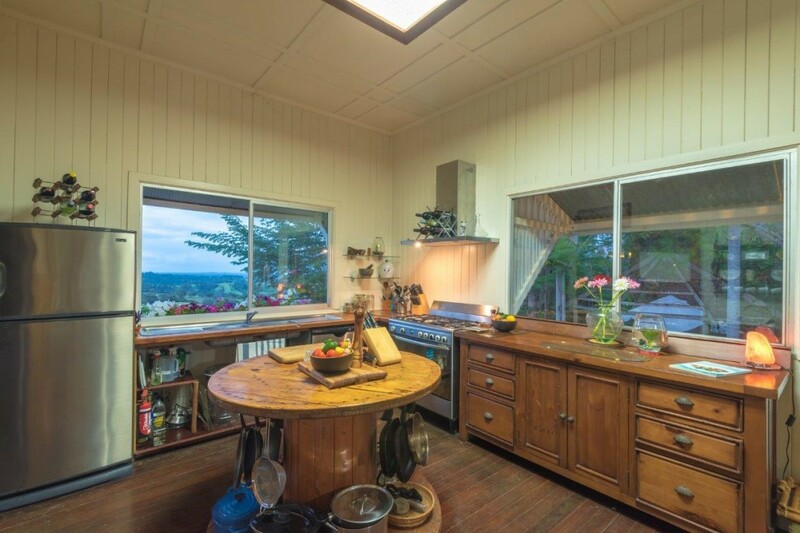 Set up and above the road, the circa 1920’s home rests on the highest point of the 6.4 acres, with a nice level section around the house. 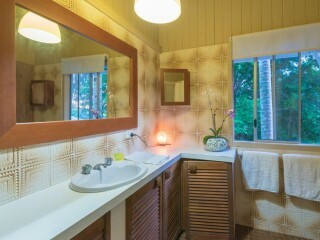 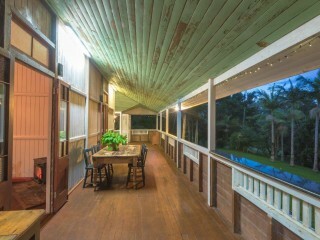 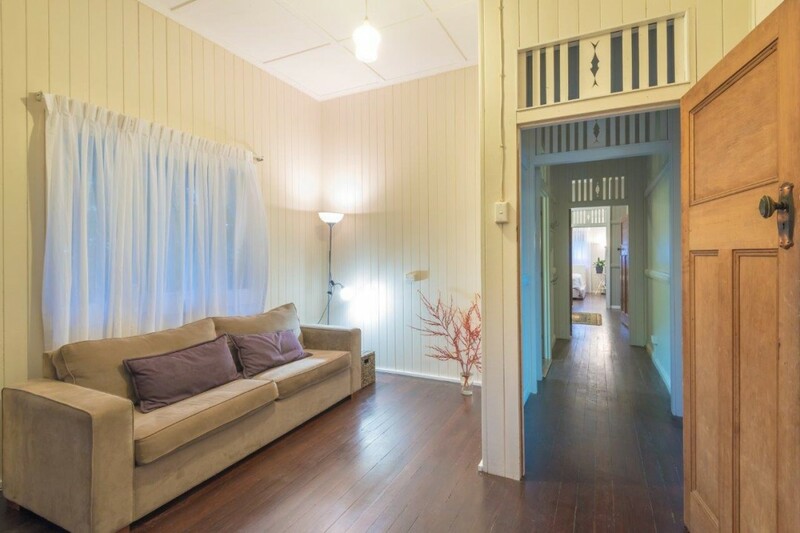 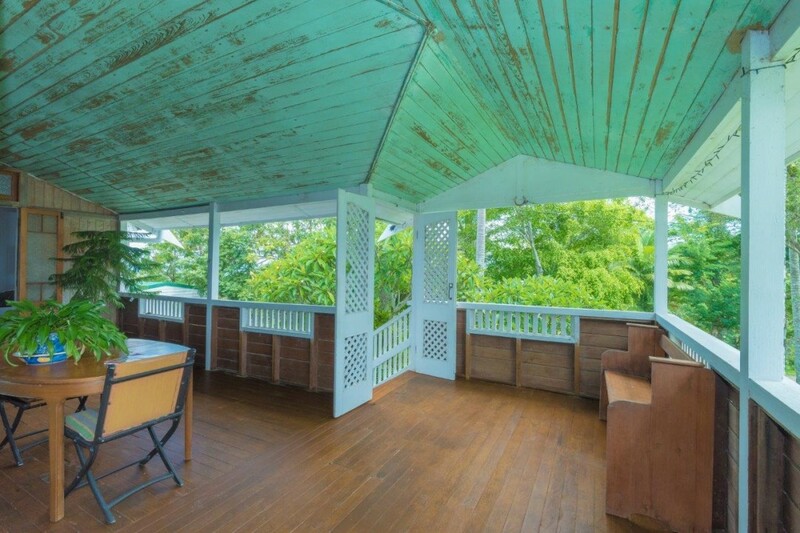 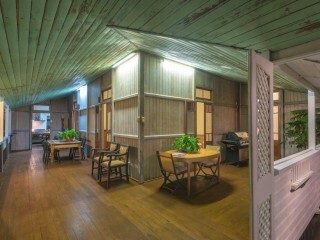 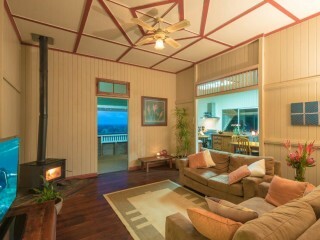 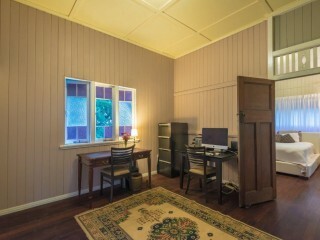 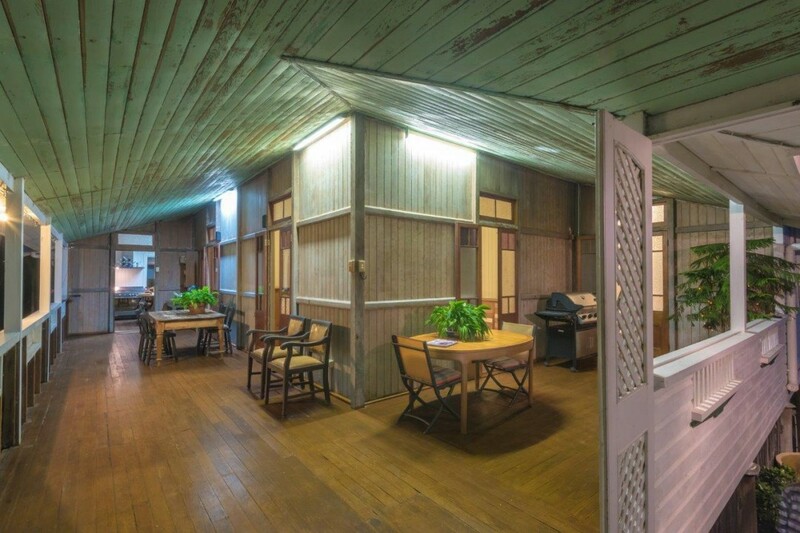 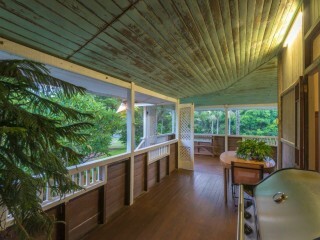 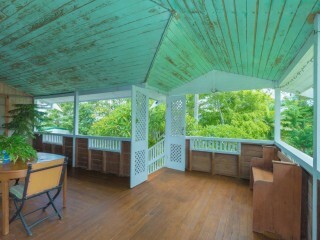 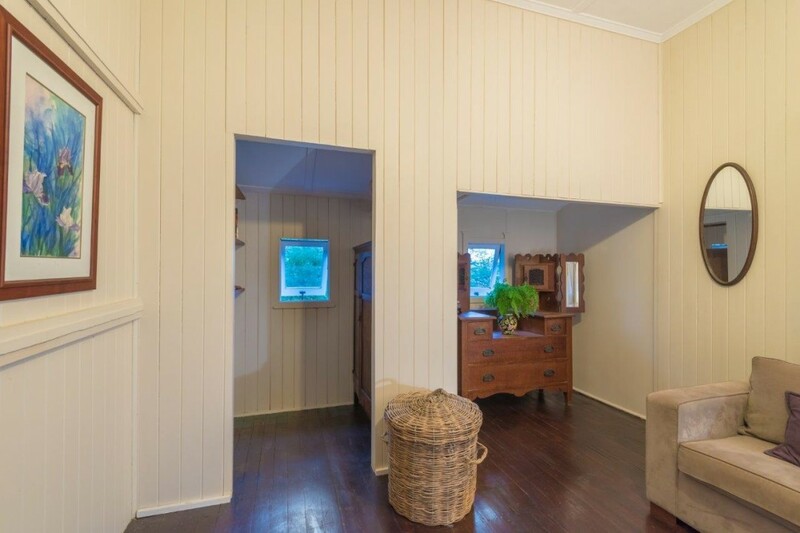 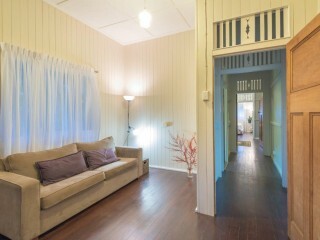 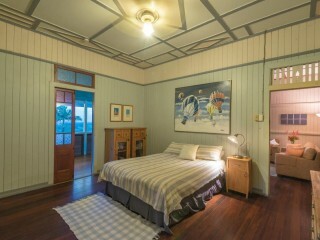 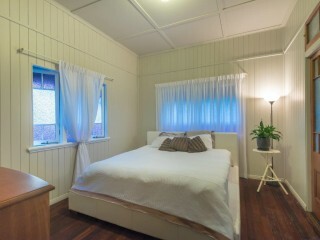 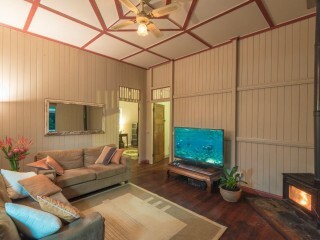 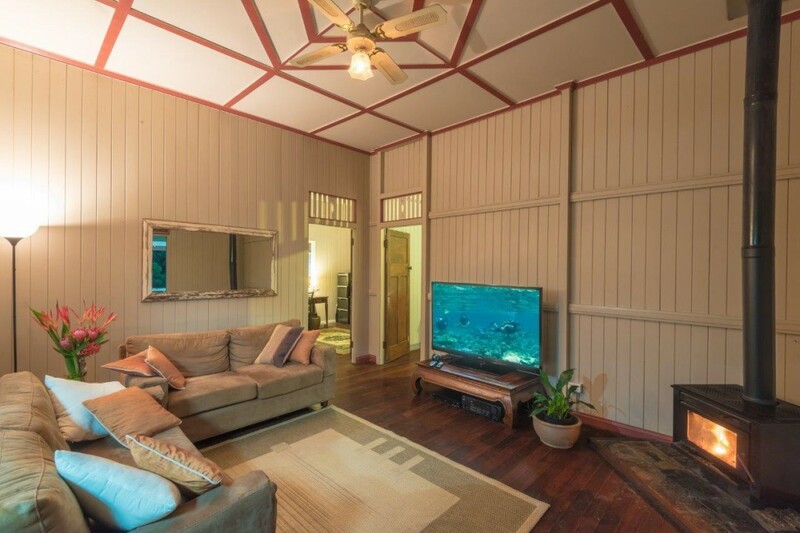 The home itself is blessed with wide verandahs and the shabby chic finishes are a decorators dream. 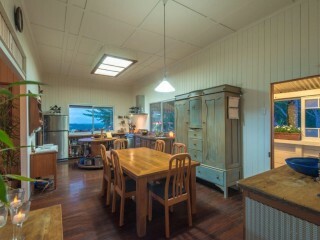 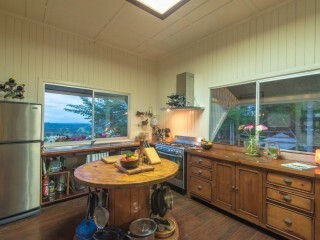 Purposely semi-sanded VJ timbers and exposed raw hardwood floorboards reflect the earthy natural tones of the timbers. 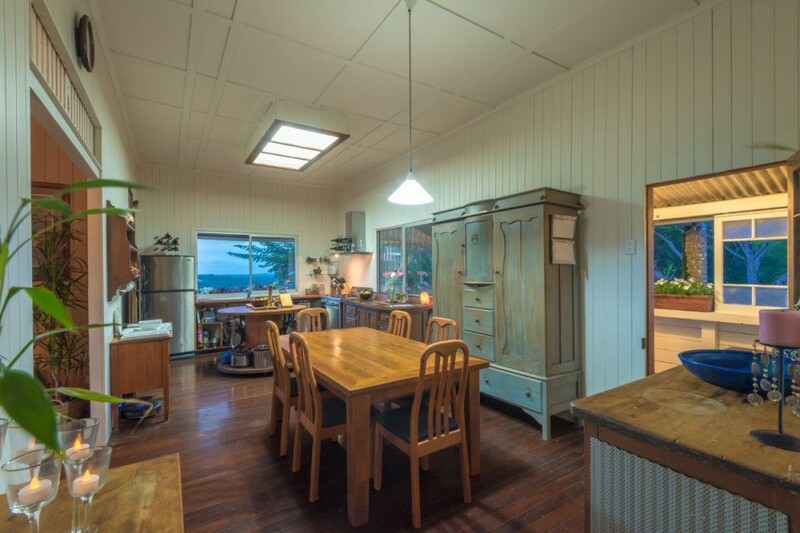 The solid home was relocated to this acreage in 1988 and the solid concrete, steel and timber foundation stumps keep her square and true. 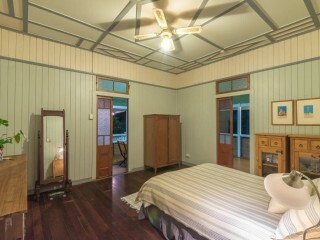 As per traditional homes of this era, the ceilings are high and the tall doorway cavities are enhanced with original fretwork vents. 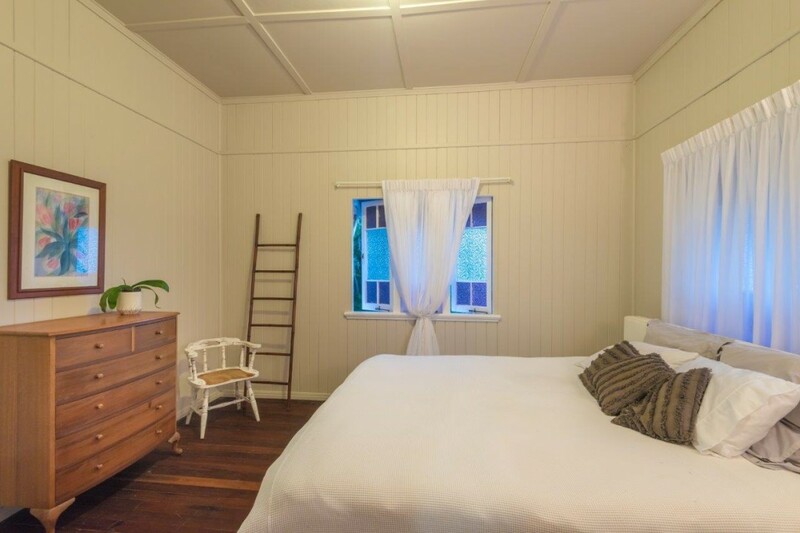 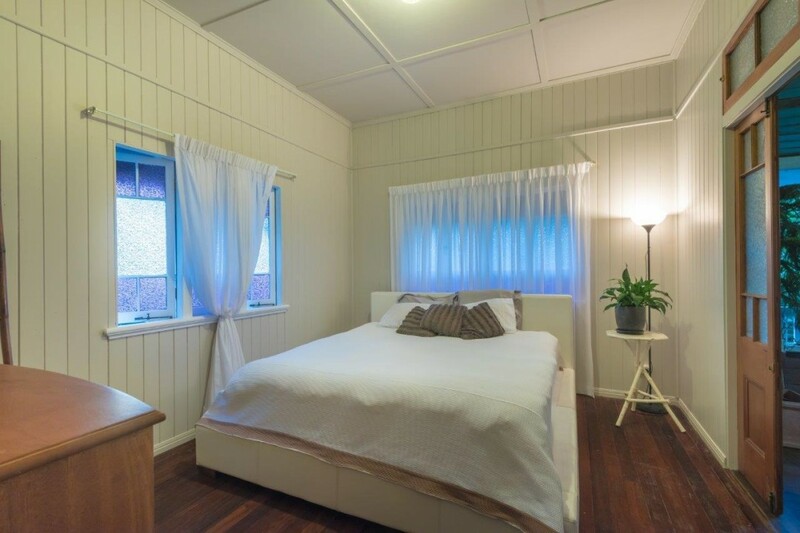 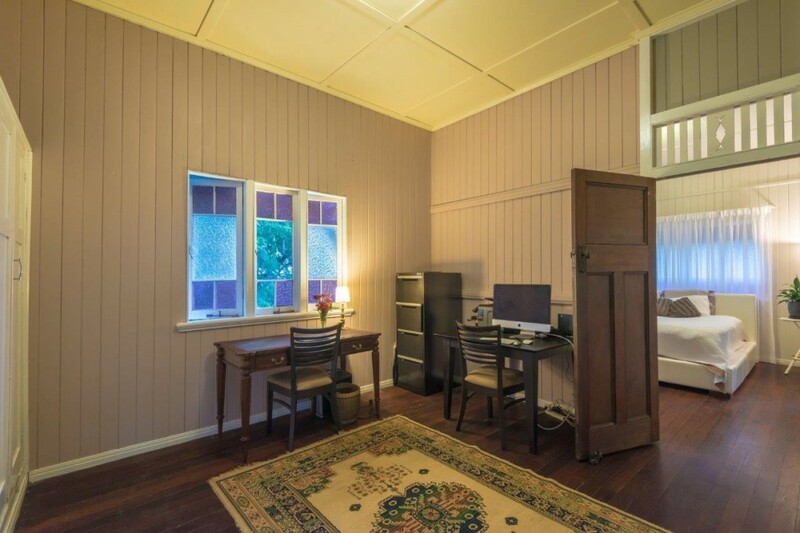 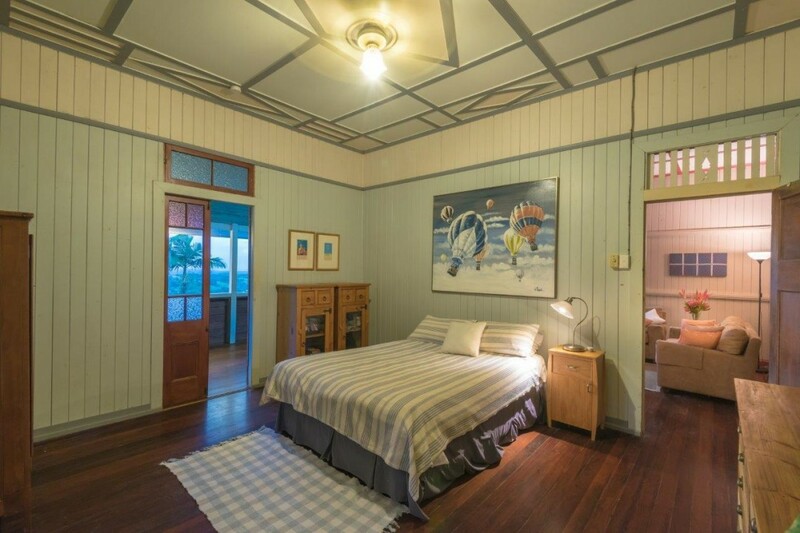 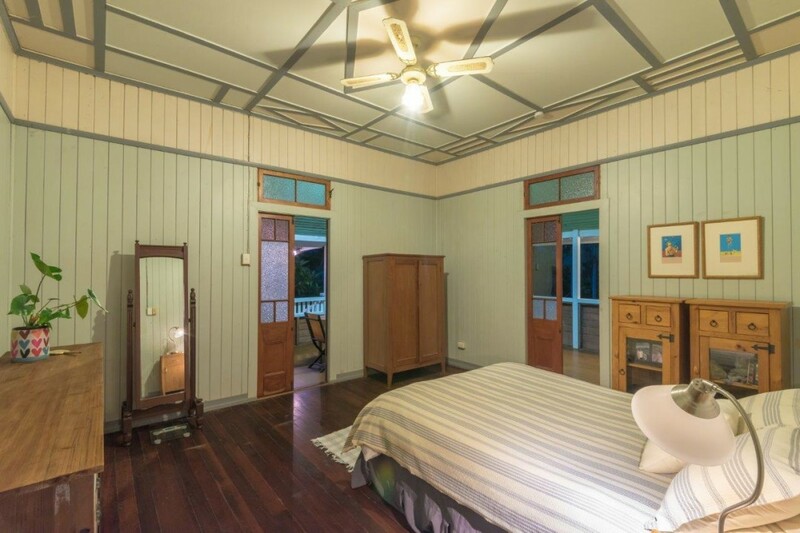 The rooms opening onto the verandah offer lovely French doors with Japanese pink Iris glass panels which complement the silky oak casement windows in other areas. 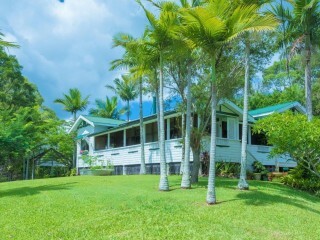 This is quite a large home and it will suit various buyer’s needs. 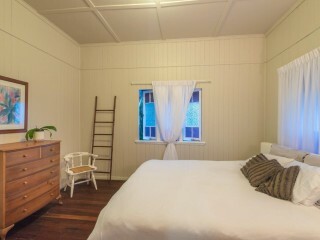 Families, couples and B & B entrepreneurs will see real value here at this asking price. 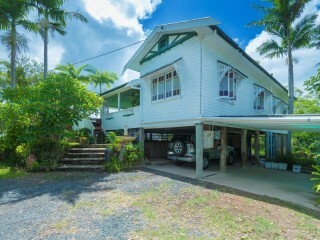 There is room for parking cars under the home and in the carport. 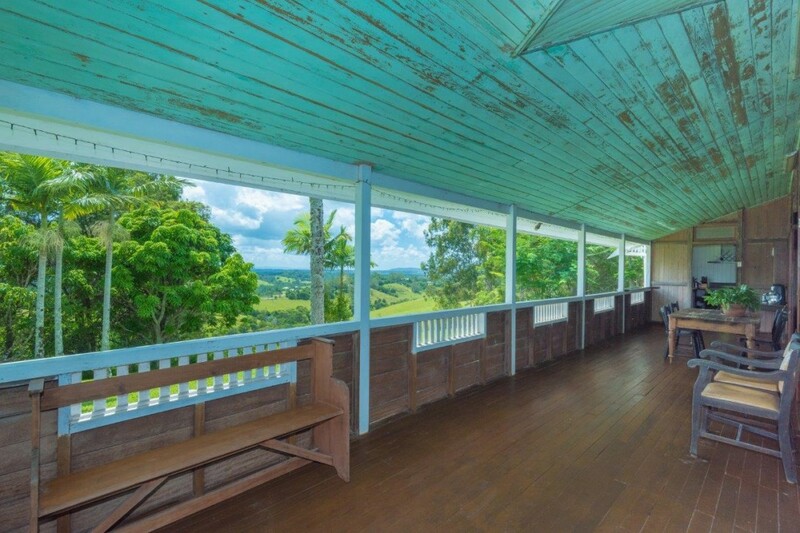 If you enjoy the romance of a bygone era, and have your own ideas on decorating, this property will delight. 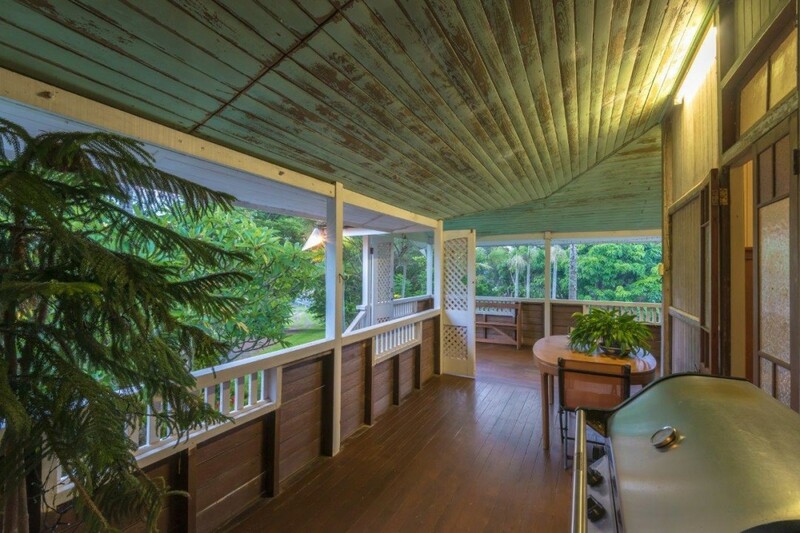 Hard to find, but easy to buy. 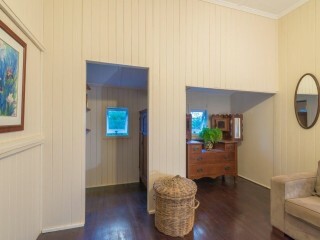 Call Michelle Vercoe now for your inspection.